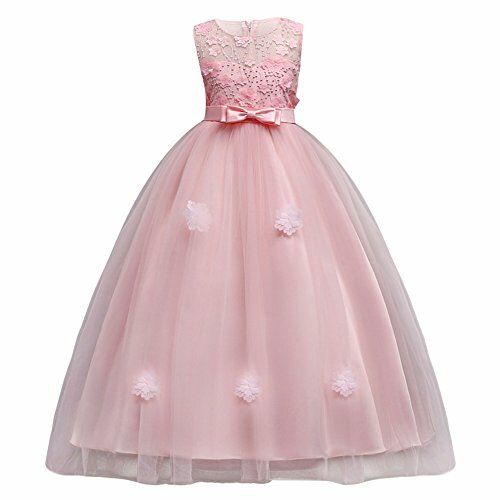 Condition: New With Tags Package Include: 1PC Dress Color: As pictures shown Main Material: Polyester + Satin Features: Sleeveless, O Neck, Embroidery Detail, Flower & Bowknot Decor, Full-length, Back Zipper Gender:Little Big Kids Girls Toddler Child Infant Perfect for party, wedding, birthday, photo shoot, pageant, or other special occasions. Care Instructions: Hand wash in cold water, line dry, do not bleach. Size Chart: We measure the size manually, please allow slight 1-3cm difference. The suggested age is just for your reference. 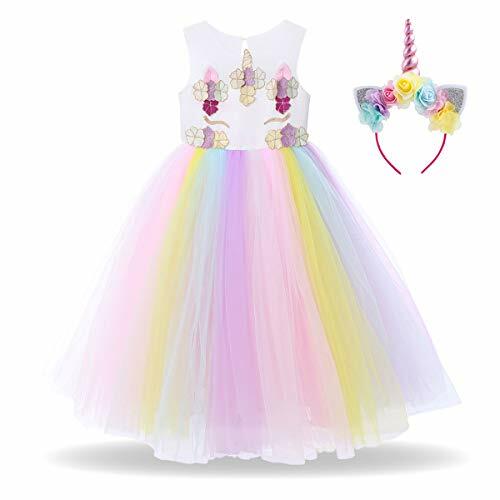 Please refer to the details to choose the suitable size. 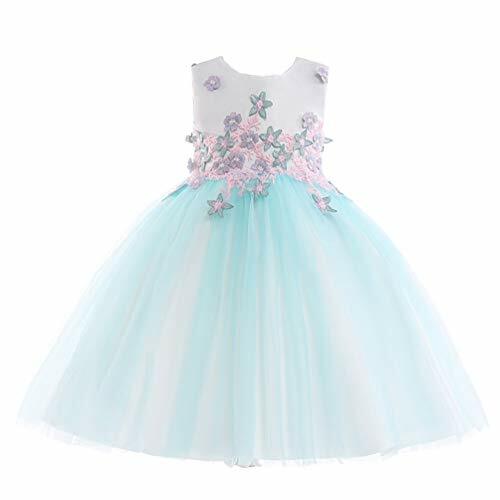 Tag No.120: Suggest For: 5-6 Years; Chest: 25.0"/64cm; Length: 37.5"/96cm; Tag No.130: Suggest For: 6-7 Years; Chest: 26.5"/68cm; Length: 41.0"/104cm; Tag No.140: Suggest For: 8-9 Years; Chest: 28.0"/72cm; Length: 44.0"/112cm; Tag No.150: Suggest For: 10-11 Years; Chest: 30.0"/76cm; Length: 47.0"/120cm; Tag No.160: Suggest For: 12-13 Years; Chest: 31.5"/80cm; Length: 50.0"/128cm; Tag No.170: Suggest For: 14-15 Years; Chest: 33.0"/84cm; Length: 50.0"/128cm; Friendly Tips: 1. Photo color might be a little different from the actual product due to color display of different monitors. 2. If you have any question about our product, please contact us, we will response you within 24 hours. 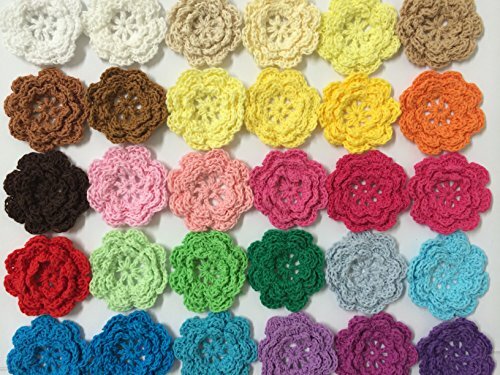 Add a touch of floral elegance and style to your arts and crafts projects with these adorable fabric flower embellishments. 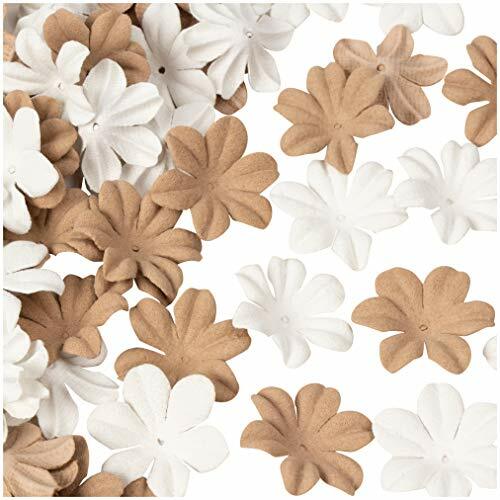 These decorative flowers are ideal for embellishing your handmade cards, scrapbook pages, home, wedding decor and much more! 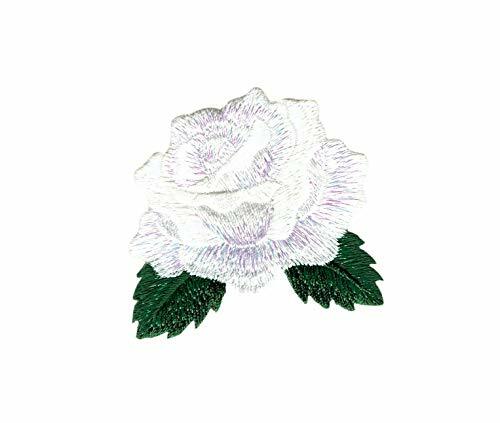 Each intricately designed flower features decorative rhinestones at the center and is easy to sew or stick on to your project of choice. 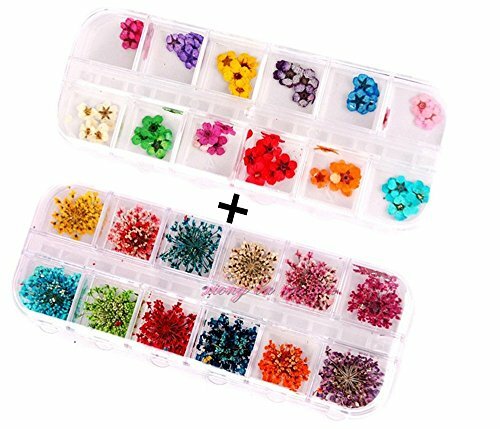 Explore your imagination using this pack of 60 craft flowers and create beautiful handmade gifts for your family and friends. 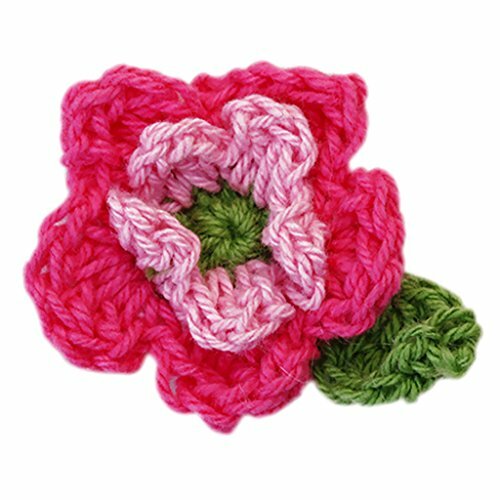 Crochet Flower Size: 2",due to handmade item,the size slightly bigger or smaller. 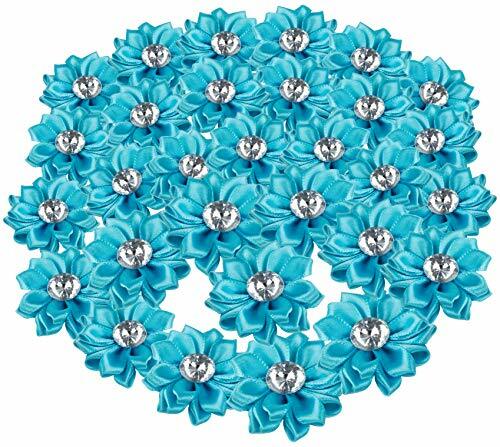 Package includes: 20 pieces flower in total. Note: We ship the parcel by epacket and the delivery time usually takes 7-13 days. 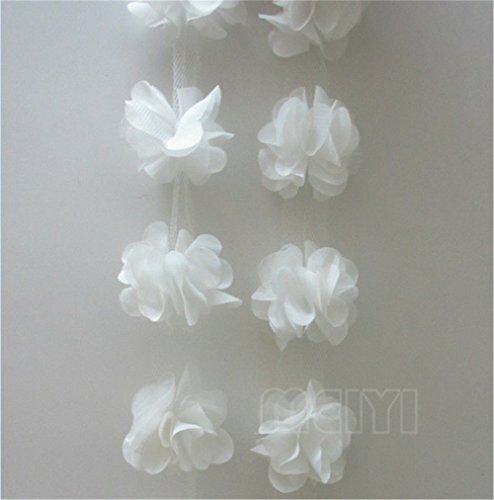 3D Chiffon Flower Lace RibbonDescription Color: White Material: ChiffonWidth: 5cm(1.97inches)Length: 3 Meters（sent in one continuous piece） Package Includes 3 meters Lace Trim Note: 1. Due to the light and screen difference, the item's color may be slightly different. 2. Please allow 1-5mm differences due to manual measurement, please make sure you do not mind before you bid. 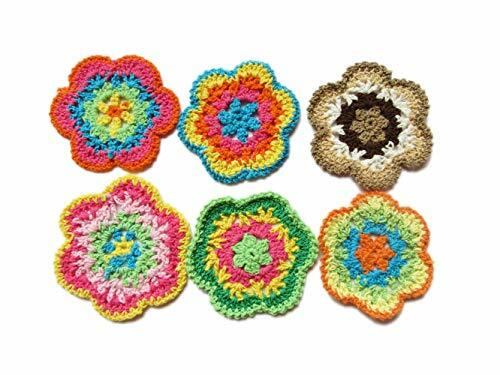 Add a touch of floral elegance and style to your arts and crafts projects with these adorable fabric flower embellishments. 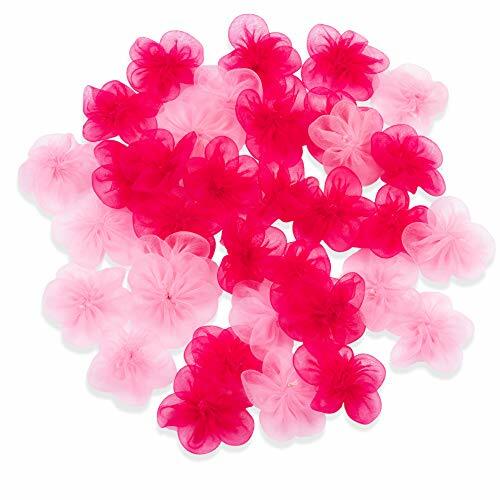 These decorative flowers are ideal for embellishing your handmade cards, scrapbook pages, home, wedding decor and much more! 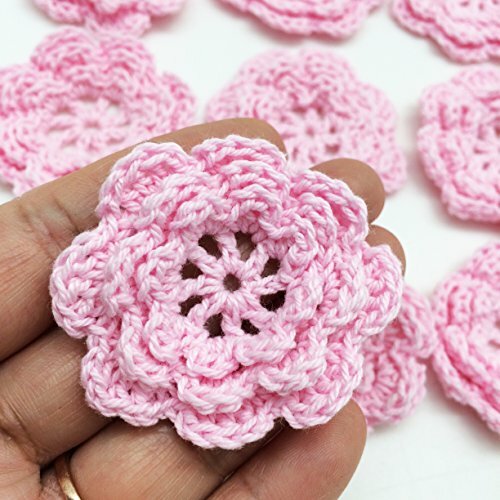 Each intricately designed flower features a decorative blossom design and is easy to sew or stick on to your project of choice. 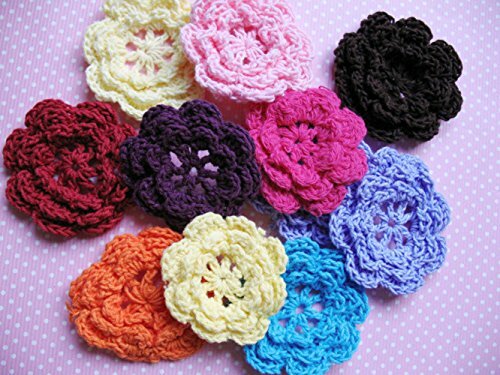 Explore your imagination using this pack of 50 craft flowers and create beautiful handmade gifts for your family and friends. 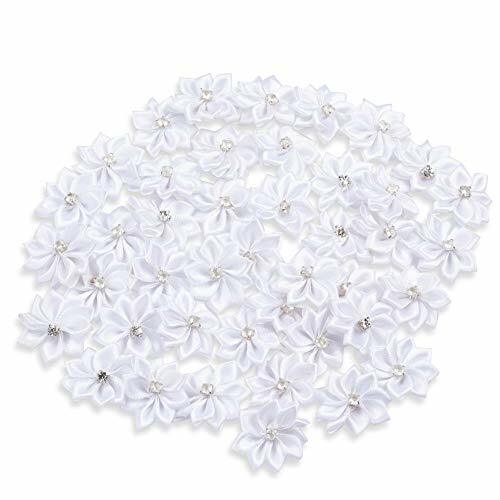 When you want to make beautiful crafts and decorations that are all about love, you need this 100 pack of beautiful flowers. 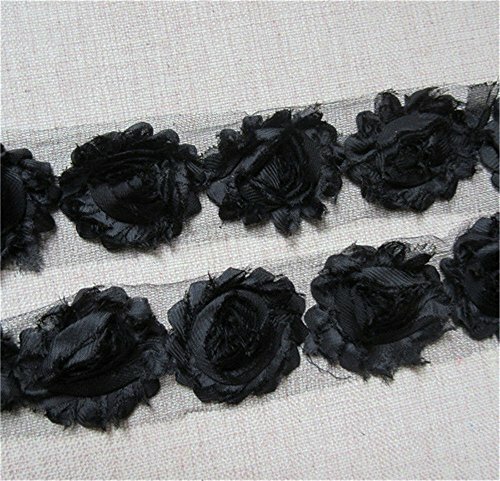 Each flower head is made from leather and will last much longer than real flowers. Use as table decor at a special event or fill a special present with extra love, using the flowers as padding. These are also great for wreath decorations and room decor. Make sure they know you are saying it with love by adding a few flowers! 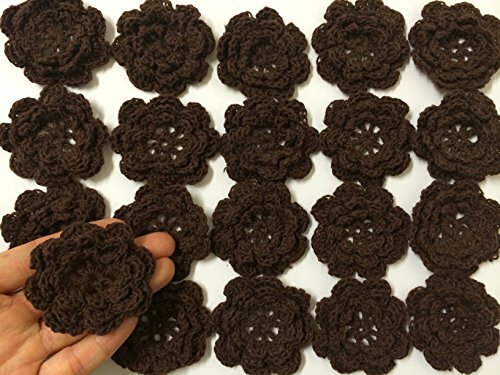 Crochet Flower Size: 3",due to handmade item,the size slightly bigger or smaller. 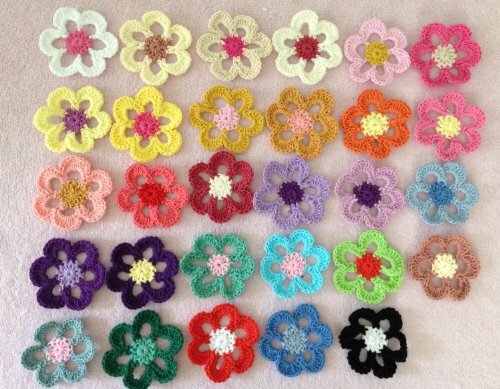 Package includes: 12 pieces flower in total. 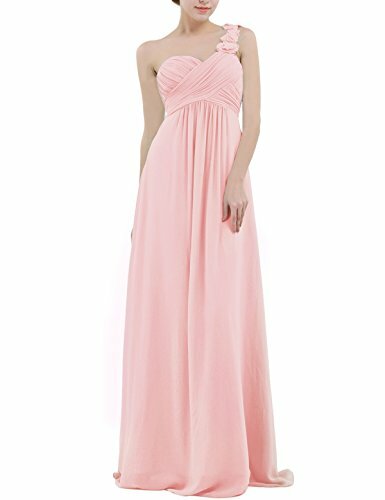 David Tutera Sparkling rhinestones and shimmering bugle beads embellish this applique by David Tutera Glamorous Additions. Add a touch of elegance to your special day by applying this beaded applique to gowns, bags, belts, sashes and more. Each applique measures 7.5 Inch and may be sewn, glued, or taped into place. 1 piece per package.